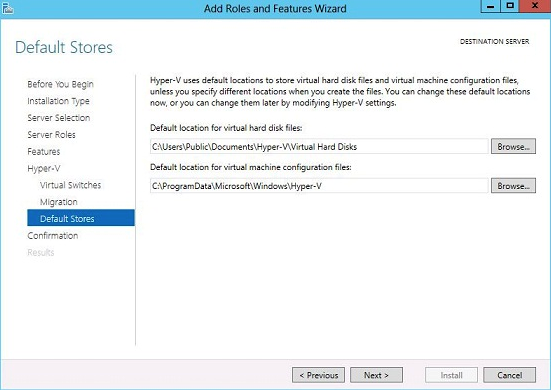 Install & Configure Hyper-V and create a Virtual Machine. 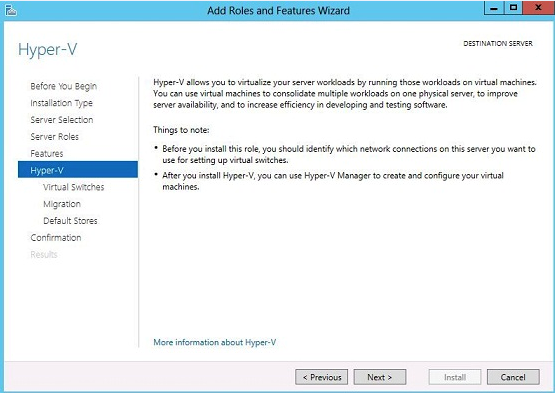 Hyper-V enables you to create a virtualized server computing environment. 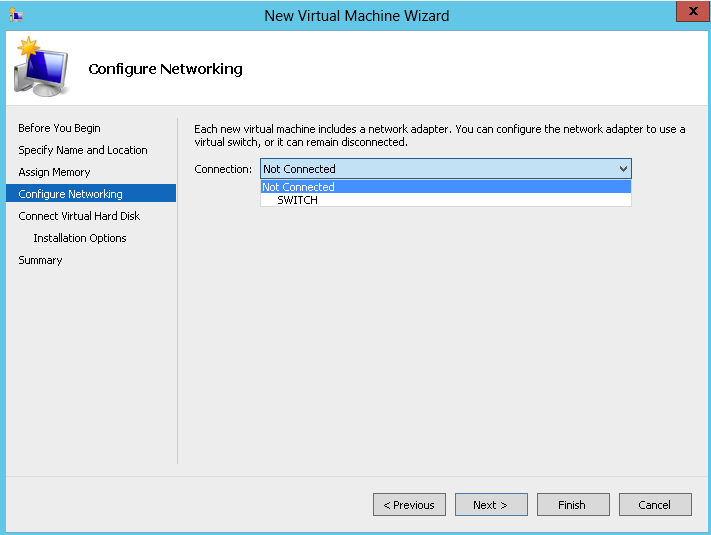 You can use a virtualized computing environment to improve the efficiency of your computing resources by utilizing more of your hardware resources. 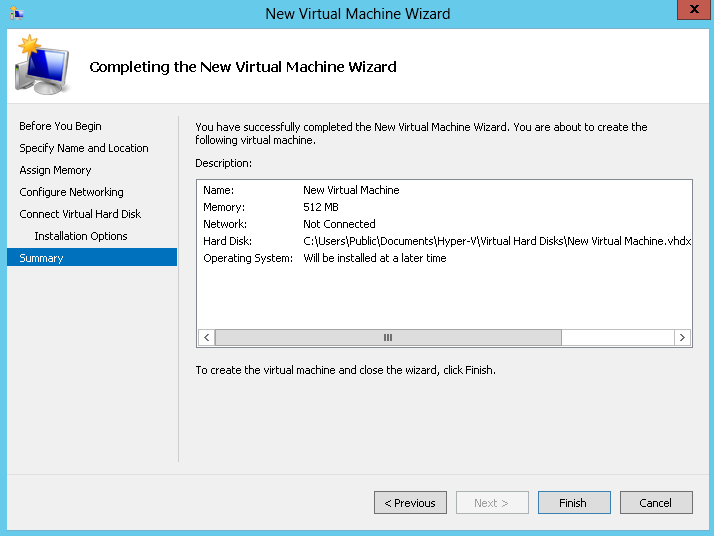 This is possible because you use Hyper-V to create and manage virtual machines and their resources. 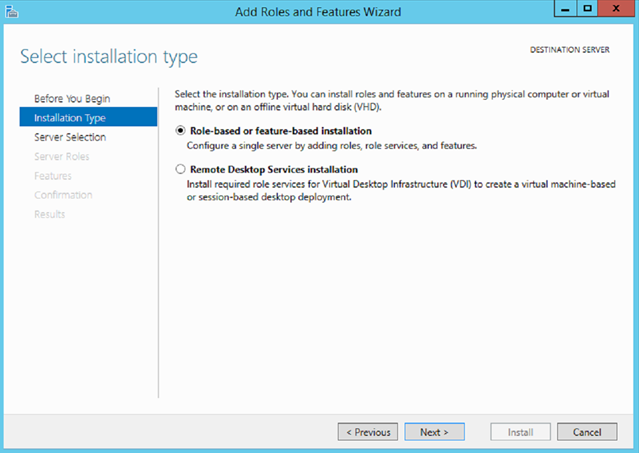 Each virtual machine is a virtualized computer system that operates in an isolated execution environment. This allows you to run multiple operating systems simultaneously on one physical computer. Leave the defaults and then click Next. 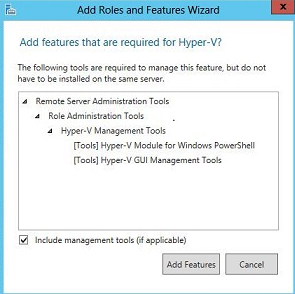 Click on the checkbox next to Hyper-V.
After you have selected the role Hyper-V this window will come up. Click on add Features. On the Feature screen click Next. 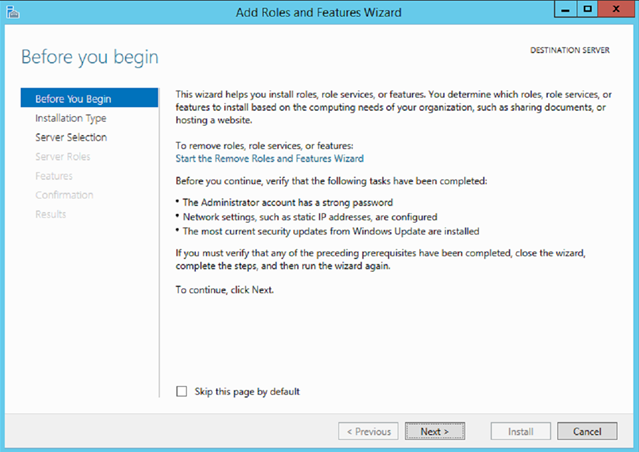 You can read the note regarding the install and then click Next. Make your selection and then click Next. 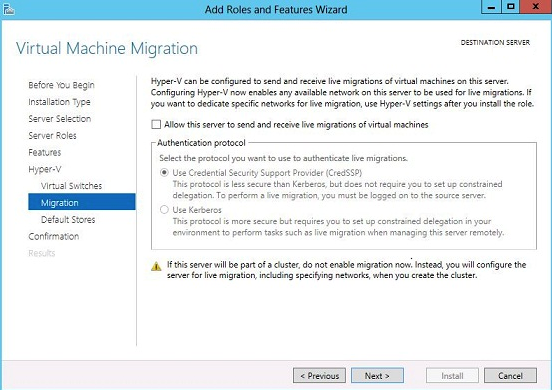 If you want to allow live migrations then click the checkbox above, otherwise accept the defaults and then click Next. 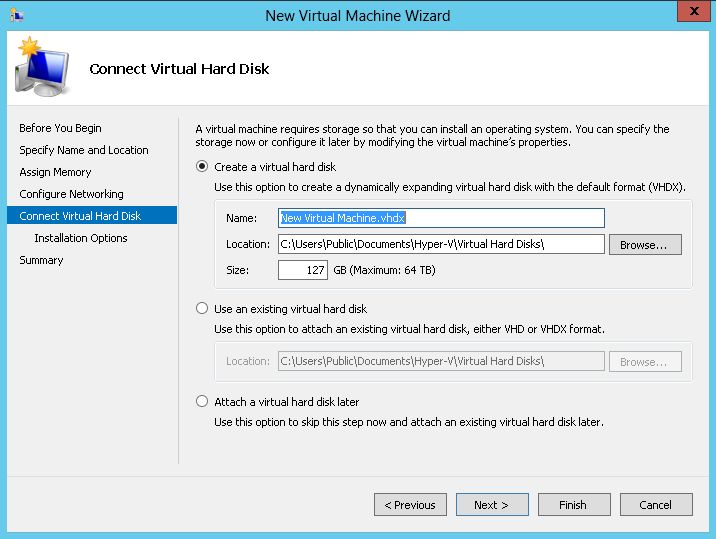 Specify the default location for your virtual harddisks by clicking the Browse button or accept the default locations and then click Next. 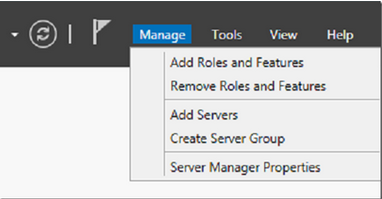 Click the checkbox to “Restart” the server automatically if required. After you made the selection in the previous section this box will come up. Click Yes. 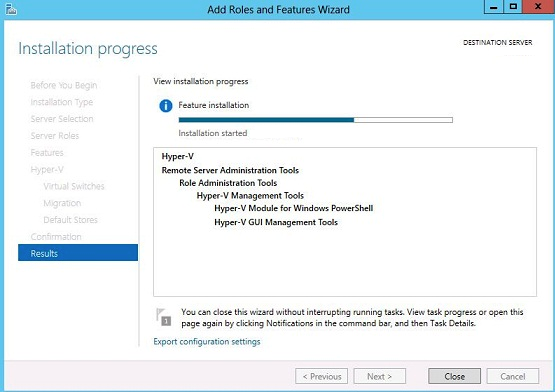 Installation started, you can close this window and then view the install from Server Manager. 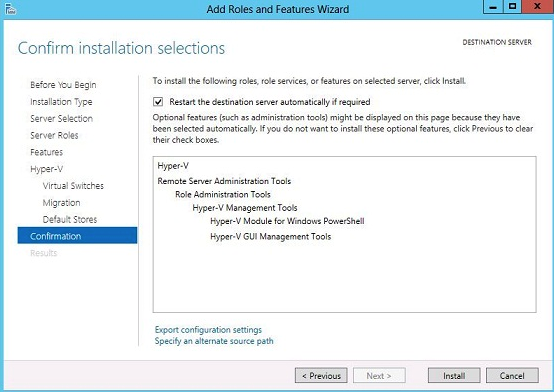 You can open this shortcut either by using Server Manager or going to Control Panel -> Administrative Tools -> Hyper-V Manager. 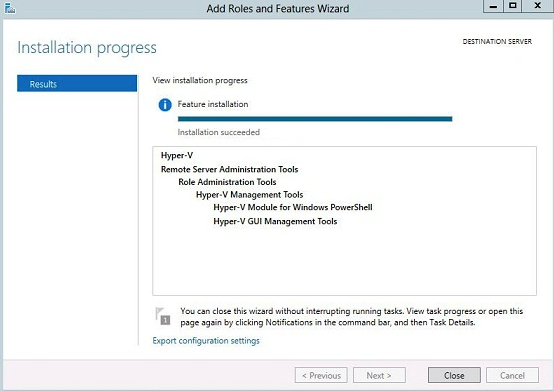 This is the Hyper-V window that will open. 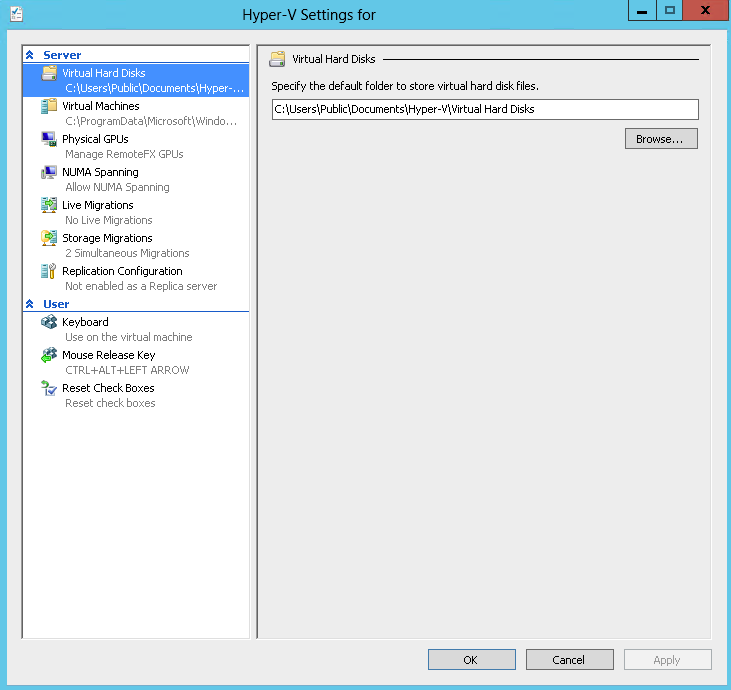 Click on Hyper-V Settings on the right hand side, the screen below will come up. Here you can change all your settings. 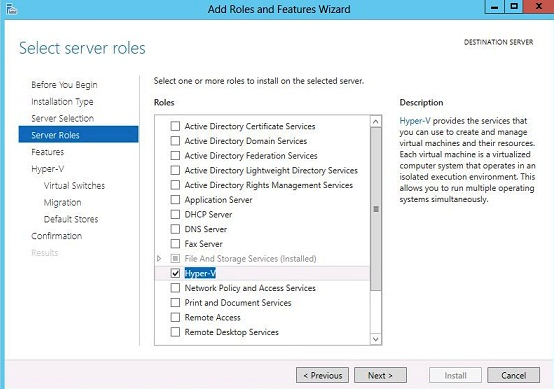 Once done click on Apply then OK.
Below Hyper-V settings you have Virtual Switch Manager, Click on it and you will see the screen above. 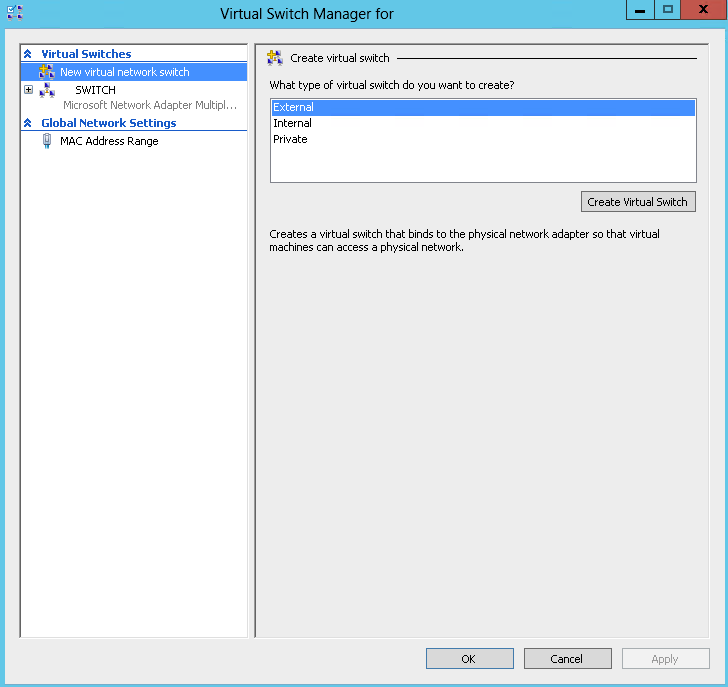 Here you can create your virtual switch. 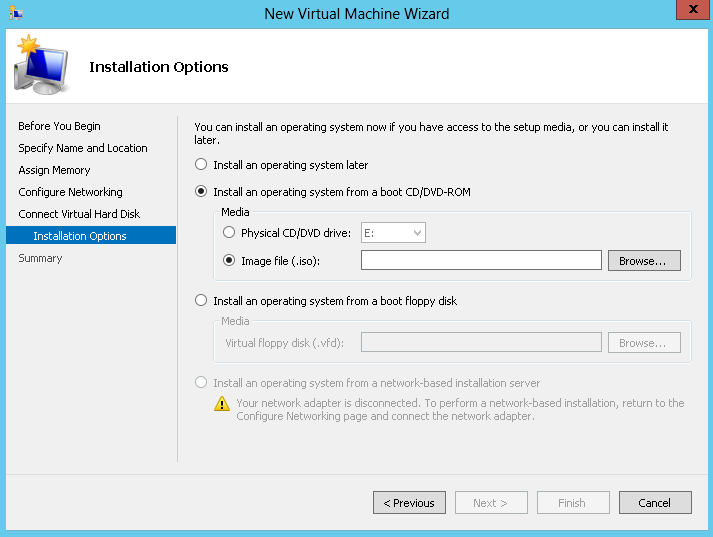 When done click on Apply then OK.
Click on New -> Virtual Machine. 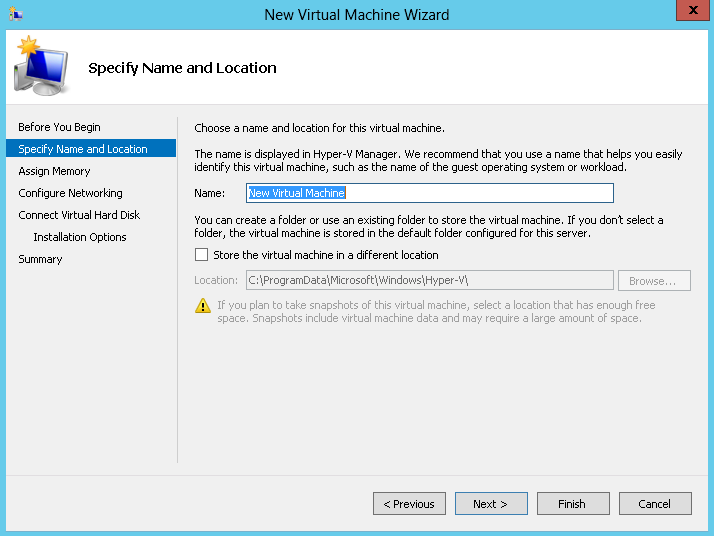 Enter in the name of the new virtual machine, if you want to change the storage location of the VM select the checkbox and then click on browse. 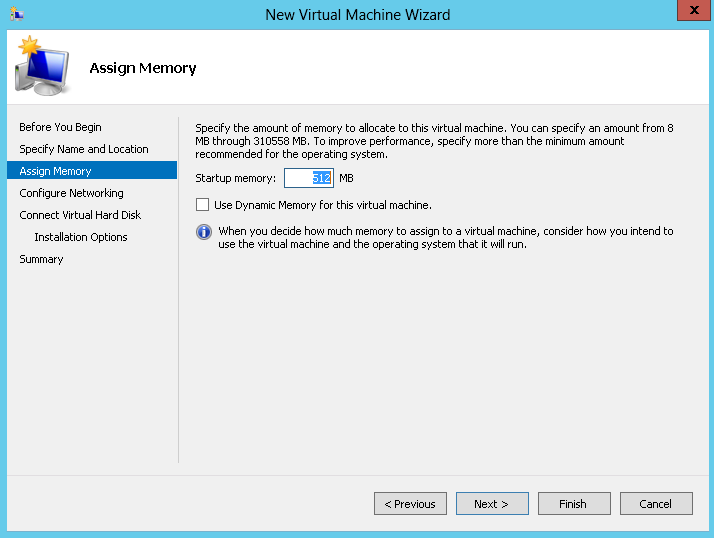 Set the memory for the virtual machine and then click Next. 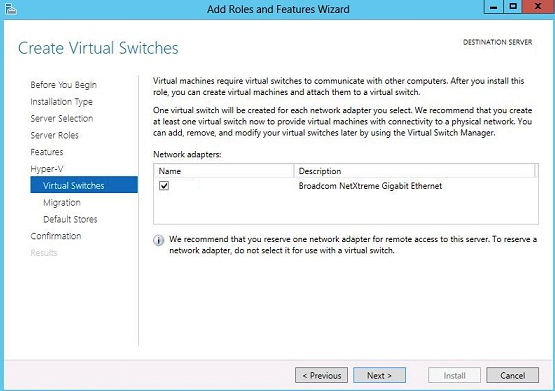 You can select the Virtual Switch you setup earlier or you can leave the VM “Not Connected”. 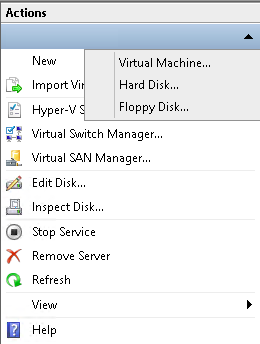 Here you can create a new Virtual Disk. 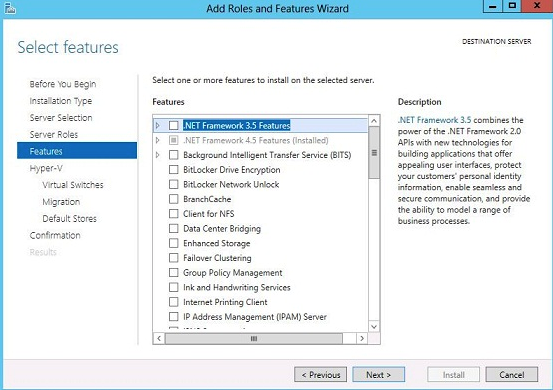 Adjust the size and change the location to suite you otherwise select the defaults and then click Next. 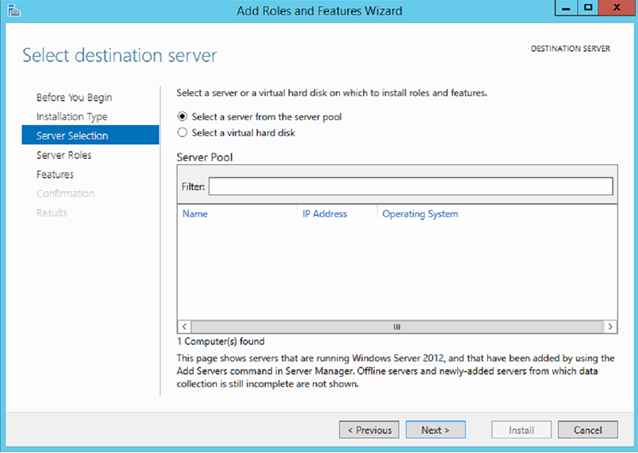 The summary screen will show, click Finish to create the virtual machine.